MonoVPN Review: Is The Privacy Service Worth A Try? MonoVPN is a little known VPN service provider that offers privacy solutions to individuals and commercial enterprises. 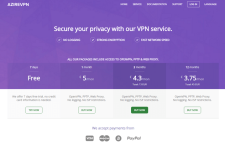 Founded in 2014, the service provider strives to provide high quality VPN solutions to its customers. In this review, we will examine whether these claims are true and whether the service is worth subscribing. Server Locations & Site Access – MonoVPN has VPN servers at just a handful of locations including United States (Chicago, San Jose), Canada (Montreal), Germany (Frankfurt), France (Paris), Netherlands (Amsterdam), Romania and Lithuania. While the provider doesn’t have servers in many important VPN markets (including United Kingdom), the service would definitely help users who are looking to unlock streaming content available only in the above countries or those who wish to bypass local censorship from around the world. As far as unlocking of streaming sites is concerned, you would be able to access premium content offered by HBO Now, Amazon Prime, CBS, CBC, FOX, RTL, Arte, HBO Go, Pandora, Canal+, ABC Player, TNT, Prosieben, Global TV, Vevo, Eurosport, Hulu, USA Network, Spacecast, Deezer, RTVNH, Bravo, Das Erste, ZDF, City TV, D8, Sport1, CTV, Vox, Spotify, Much Music, WDR, E!, Film1, Xfinity, NBC, The Comedy Network, MTV, Vudu, Rara, CWTV, NHL and MLB from all corners of the world. What’s more, the service makes it easy to bypass government and institutional level censorship and access Skype, Gmail, GTalk, Facebook, Twitter, Viber and YouTube even from restricted locations like China, Qatar, UAE, Saudi Arabia and Brazil. The unrestricted server switching option offered by the service provider makes it easy to switch IPs and access premium content from several different countries by subscribing just once. 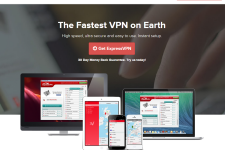 VPN Speed & Bandwidth – All MonoVPN plans come with unrestricted speed and bandwidth. All of the company’s servers are connected to 2*1 GBPS ports so you would be able to stream, download, play games and use VOIP programs without worrying about buffering, lagging or latency. Privacy Settings – MonoVPN supports most VPN protocols including OpenVPN, PPTP, L2TP and SSTP which means you can choose the level of protection that you want. OpenVPN is of course the best choice if you are looking for the robust protection to secure your private data as well as sensitive activities such as banking, online shopping and logging into social sites. However, if you desire faster speeds and are not too much concerned about privacy then PPTP should serve you equally well. The service anonymizes your online activities and protects your vital data from all kinds of surveillance, snooping and hacking attempts. MonoVPN has not published a logging policy on its official website. Most service providers do record information like bandwidth usage, timestamp of connection and even source IP address for troubleshooting purposes and the same should be assumed for this service provider. Supported Operating Systems – MonoVPN works well with Windows, Android, iOS (iPads and iPhones) and Mac computers. The provider offers free client for all the systems so there is no complicated setup procedure involved to use the service. However, it is certainly possible to configure the service manually and the provider has published detailed guidelines to help its customers accomplish this. Unlike many other privacy services, one MonoVPN subscription can be used on multiple devices at the same time. Customer Support – MonoVPN offers customer support via live chat, email and tickets. The provider has also provided its phone number so you can contact it via this mode if you need to speak to a support staff. The company has not published FAQ or troubleshooting information on its site which means customers would need to contact the support staff even to resolve minor technical issues. Pricing Options – MonoVPN is available for $5 a month, $14 per quarter and $45 a year. The company accepts payments via a variety of payment methods including anonymous methods such as bitcoins which is definitely a plus point. The provider also offers a free plan with 2 GB bandwidth limit which should be enough to test the capabilities offered by the service. In addition, all paid plans are covered with a 30 day money back guarantee. 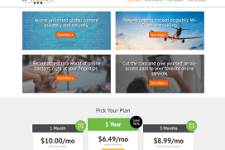 VPNTraffic Review – Is The Service Worth A Look?